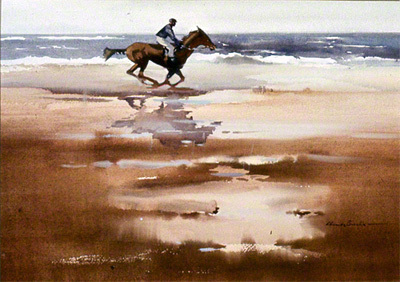 A water colour of a horse and rider on a beach. This water colour by Claude Buckle shows a solitary horse and rider galloping flat out along the beach. The sea and waves are visible in the background. This picture was reproduced by Medici print company. Created in 1969.